This blog is supposed to be one view on development. As you can see I don’t really keep to that. We’re good though because everything is connected anyways. My master’s degree was called the social anthropology of development. Funnily or sadly (depending on your perspective) race was not discussed once. We did talk about human rights and indigenous rights. We talked very little about power relations. If you take into account that as I said in an earlier post, development came out of colonialism and white supremacy this is quite strange. Luckily I am not the only one to have noticed this (in development) Sarah White (I know right!?!) wrote an article in 2002 Thinking Race, Thinking Development. As the title suggests Race is actually central to the project of development. Which makes not mentioning it, extra strange. Her article is basically a call for consideration of Race in Development and gives some suggestions for how to go about this. I am sure more has been written since in Academia and has been written before already outside of academia. If you know of good literature on this please let me know. White people in foreign countries are called expats. POC are called (im)migrants. White people working in development tend to make much more more than their non-white counterparts even for the same work. And have better benefits. White people tend to be in charge of projects. White people can be experts or consultants on regions, even when local people obviously have much more knowledge. The economic relationship between countries often remains one of exploitation. Even though there are ghettos and poor people in the global North/West, you don’t find people from let’s say China going to Harlem to ‘develop’ it. Of course development can be many different things, but in my experience it is very hard to do it right. Even the people I know that are doing it responsibly (taking local needs as guidance etc.) are still attempting to use their privilege to help others. A laudable attempt but one that easily ends up confirming said privilege. A situation that is way better than previous ‘civilizing’ attempts but that is fraught with some of the same and some new issues. To be completely honest, I don’t really have a good answer. The world is a vast place, complex, with many different views. Akala performed at SOAS a while ago. 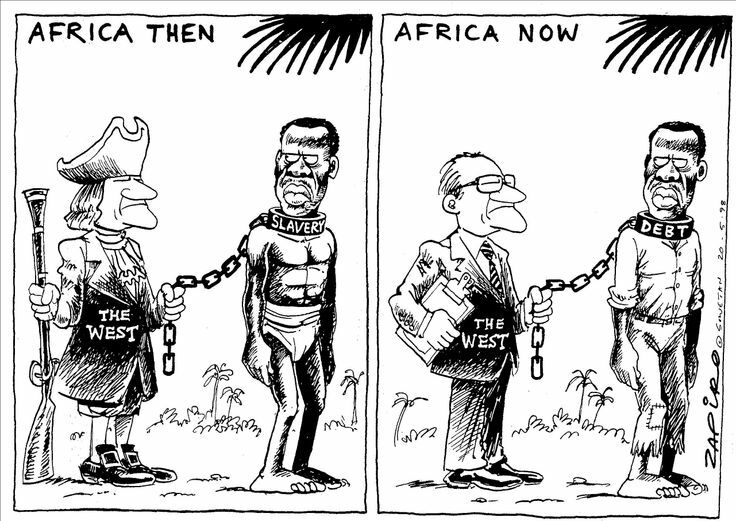 A lot of his work deals with the effects of empire, white supremacy, colonialism etc. He pointed out also during his performance that spies used to be trained at SOAS to go into the colonies. They probably still are by the way. Akala is one of the most vocal and effective speakers/thinkers on this topic alive today (as far as I’m aware). So on the hand it feels disheartening to have him say something like that. On the other hand I also think it indicates two things. 1 This problem will not be solved by intellect alone but requires compassion. 2 It requires a lot of people working together and coming into awareness. Having said that I don’t really have a good clear answer, I’m going to venture the one that I do have. Recognizing white supremacy! The first step to any problem is seeing it for what it is. Why do we think it is okay for SHELL to abuse the Nigerdelta and cause deaths there, but drilling for gas in Groningen is not? Recognizing racism means acknowledging how you got where you are. If you’re white this might mean toning down your sense of accomplishment somewhat. It definitely means questions some of the values that you have been fed since birth. What are the so-called liberal values like democracy or freedom of speech worth if they do not apply equally to all? If you really believe in these values you should fight to uphold them for everyone, or create the societal structures that will. It also means monitoring your responses and feelings towards people around you. Why do I think that guy is a drug dealer? Because he is Moroccan and drives a BMW? Might have been the wrong judgement there. If you find yourself getting defensive when the topic of racism comes up; ask yourself what I am defending here? My sense of self worth? Why is that so fragile to begin with? To my mind it also includes listening more than you talk especially when POC talk about their experiences. It also means being willing to be uncomfortable. It also means distinguishing between the facts that are being said and the emotion behind it and realizing there is probably a connection between the two. There is no need for you to police or solve somebody’s feelings. They are entitled to have them (if you are a man, this might apply to your relationship with your partner as well, just listen, don’t always offer solutions). I think all of this is premised on the understanding that comes out of compassion. We all have a right and desire to live. This can also mean not turning away from people that seem ignorant, but trying to forgive them for being idiots and helping them think differently. While preserving the courage to speak out or actively fight oppression. Remember that you never know a person’s history or his future. This is not an issue of guilt. But I do think it is one of responsibility. We all have something we have done in this, but more importantly there is something we can do. That being said it is important to avoid paternalism, POC are not children that need our help. They are human beings and there is something to be gained through our collective effort. The least we can do is not actively oppress them or get in their way. Furthermore I think there is a place for meditation and general well-being in all of this. The happier you are the less likely you are to abuse someone. The more aware you are of your perception, identity and inner state, the more you can be of service. I also think there are many things politically that need to change or could help this issue (and others). Less focus on competition, debt relief, global basic income, an economic system that values things intrinsically instead of their profit potential etc, etc, etc, etc. Compassion does not mean some sort of tree hugging hippie philosophy although hugging a tree can be quite nice. Here it is good to look at history again. The reasons slavery was abolished was multi-faceted: In part the reason was economic (paying slaves a salary means they can buy your product). In part their was some do-goodery involved from various elites and solidarity from white working classes. A very powerful drive for change also came from violence. Slaves rising up to fight for their own freedom proved too costly eventually. So depending on the world we want: We have a choice to promote slaughter and bloodshed, or the slow death of poverty and structural violence. Or we can start acting like we mean it when we say: “every life deserves a chance”. We could start multiversities that actually speak to all perspectives, not just one as is implied by UNI-verse, “one verse to rule them all”. We could do many things. Time to get creative.